OMS (Operation and Maintenance System) is a management system that has functions of controlling and monitoring Remotek’s repeaters remotely. With the web based feature, the OMS can support multi-user operations through LAN/WAN from different regions at the same time. 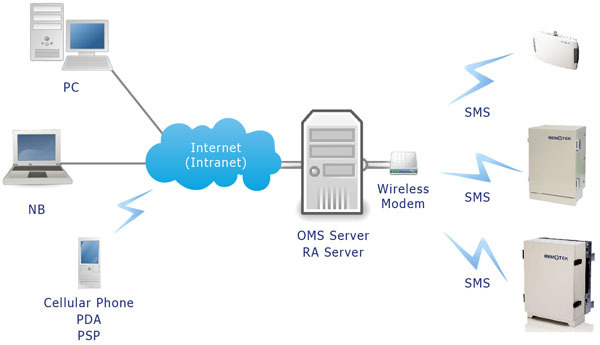 All personals permitted to monitor and control the repeaters would be able to connect to the OMS server via LAN/WAN with no additional program or modem requirement. Authorized users can be classified with different privileges by the administrator of the OMS system, which means certain functions are restricted from certain users, so accidental data changes can be avoided. ©2016 Remotek Corporation. All rights reserved.